If you can’t figure out where your money is going, you need a budget! YNAB, an acronym for You Need A Budget, is an app that “gives every dollar a job” so that you can make each dollar work for you. Just fill out the categories, and you’re ready to go! Think you DON’T need a budget? Think again. According The Associated Press-NORC Center for Public Affairs Research, 66% of Americans would have trouble coming up with $1,000 for an unexpected expense because they don’t have an emergency fund. The study further reveals that families with income above $100,000 would still have trouble coming up with $1,000 for an emergency. YNAB allows you to automate your budget. This is the perfect choice if you are looking for a system that solely focuses on budgeting rather than investing and other bells and whistles. With YNAB, you can deal with debt and set priorities for upcoming expenses and other financial goals. If you follow the “YNAB Rules”, you will see improvement in your spending, spend less than you earn, and be ready to save for the future. The goal is to cover this month’s expenses with last month’s income. This process is called “aging your money”, where your money has to be at least 30 days old before you can spend it. YNAB Rules are the building blocks to help you live within your means. If you follow these steps, you will be able to save efficiently, get out of debt, and most importantly, stop living paycheck to paycheck. Each dollar should be used for a certain expense. Rather than spending on whatever comes your way, you will have more organization and order with your spending. Most people say they had expenses that just “came up”, but the truth is that many of these expenses should be anticipated, such as birthdays and holidays. 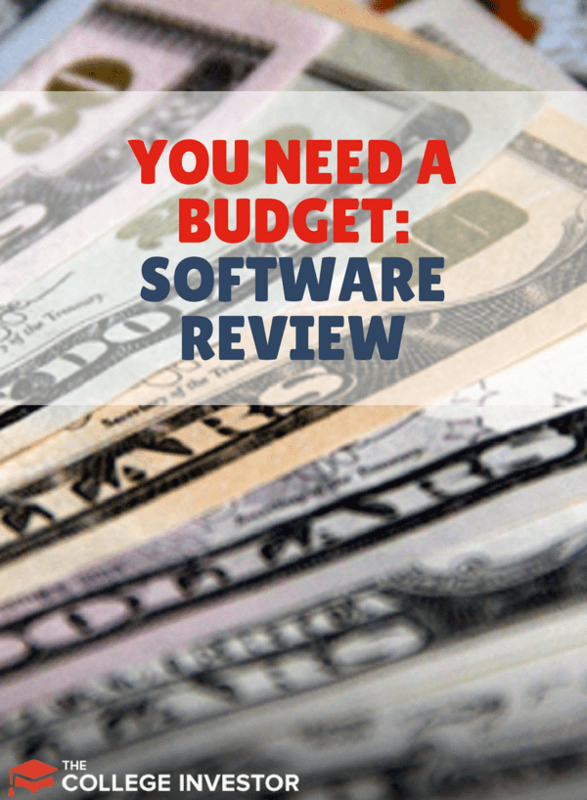 Your budget needs to be accurate, or you will constantly struggle with sticking to your budget. Other expenses include larger expenses that occur less frequently, such as vacations, holidays, routine car repair, and annual medical expenses. YNAB advocates budgeting money for these expenses and allocating funds to pay for them on a monthly basis. This concept is referred to as the “sinking fund.” By spreading these expenses across the year, you will have less stress and more control over your finances. Certain expenses will creep into your life and catch you off guard. You will also have certain months where you overspend in certain categories. By embracing this principle, you will be able to make necessary adjustments when you overspend or have unexpected expenses. Just move money from one category to another, and keep going. Don’t let small setbacks get you off track - keep the momentum going! When you spend money that you earned last month, you will have this month’s income to roll forward to the next 30 days. You will not stress when there are delays with your cash flow. To successfully “age your money”, you should be spending money that is at least 30 days old. The YNAB website also offers live online courses for members, including guides and blog posts that cover transitions, long term planning, and dealing with debt. Priced at $6.99 per month (billed annually at $83.99), YNAB will give you a high return on investment when you see how much you save with this budgeting program. YNAB offers a 34-day free trial so that you can see for yourself if it’s a good choice. The best part? They don’t even ask for your credit card information! There are so many great things about YNAB. From budgeting guidance, useful how-to guides covering topics like how to prioritize and deal with debt, YNAB is user friendly and easy to update. YNAB takes a simple approach to setting up your budget - just connect all of your accounts and start budgeting. All you need to know is how much you have right now, and how you plan to spend your money until you get paid again. When you apply the concept of “aging your money”, you won’t have to live like you’re living paycheck to paycheck. YNAB automates your spending while letting you customize your categories, budgeted amounts, the names and order of all categories. You can make manual entries, but with YNAB’s secure account linking, it is much easier to import your transactions. If you connect your accounts, YNAB will analyze your spending habits, and even guess categories for you. If transactions are bold, that means they are new, and haven’t been categorized yet. Some categories might change, especially with stores such as Target, Wal-Mart, Costco, and Sam’s Club. You might be buying groceries, or you might be buying furniture, camping gear, or a new barbeque grill. Change the categories as they apply to each transaction. Rather than just assigning categories like Mint, YNAB gives you suggested categories, and you just review and approve. You are forced to know what is going on with your money. Not only does this hold you accountable, you will also be able to quickly identify and report any fraudulent activity on your accounts. On that note, if you go to Target and buy a bunch of items that fall under different categories, you can even split transactions. If you went to Target and bought groceries, power tools and beauty products, you can easily split the transactions by category. 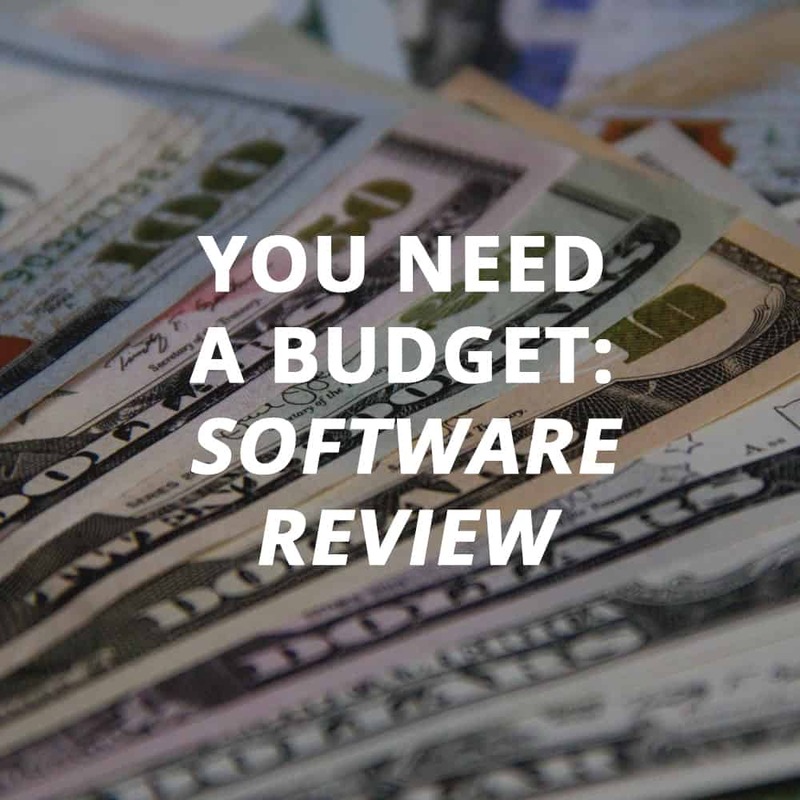 Whether you’re going to use the software manually or connect it to your accounts, you just start with whatever amount of money you have right now, and go from there. Say you have $225.00 in your bank account, then $225.00 is the number you will start out with to allocate your expenses. If you budget more money than you have, it’ll turn red. YNAB offers the option to securely connect all of your bank and credit card accounts, or enter everything manually. Then, all you have to do is import your transactions into budget categories. With YNAB, you can set up a sinking fund and never be stressed about larger expenses again. What is a sinking fund? It is similar to a “rainy day” fund, except you are setting aside money for a large future expense, whether you know the exact amount or not. You could have a sinking fund for things as small as renewing your annual $258 vehicle registration. Just add a category for vehicle registration, budget $21.50 for each month, and you’re set! If you overspend in one category, that may be a sign that you need to budget more money for that category. If you have extra money in one category, you can move it to another category. Move it to a category for entertainment, use it to pay down debt, or roll it over to the next month. The “quick budget” box on the right of the image below helps you fill in your monthly budget quickly using the “spent last month” category. The “spent last month” category is helpful for the fixed categories for easy reference and side-by-side comparison. You can see what you spent last month and plug the number in. Aside from that, the “quick budget” feature lets you see exactly how much you spend in each category, and then make necessary adjustments. You can search their detailed help center for easy-to-understand explanations or quick video tutorials. If you need extra help, you can send a message to customer service by clicking on the question mark in the corner. YNAB has a mobile app feature available through the App Store or Google Play. You can use the same login credentials for the mobile app that you do for the desktop version. YNAB has several detailed blog posts and topics that are updated regularly. They discuss habits, behavior, and other mindset shifts needed to stick to your budget. If you want to see how other people are using YNAB, you will also have access to other YNAB users who share their budgeting strategies, questions, and helpful tips. Get support and encouragement from other YNAB users, and share your stories in the forum. YNAB doesn’t mess around when it comes to security. Since your financial data is in the software and app, you can rest assured that data is encrypted, and they use multiple iterations of a key derivative function for passwords. The data is encrypted, and when you terminate your account, your data is wiped from their system. Like anything, there are a few minor drawbacks, but definitely no deal breakers. If you only want to use YNAB on your phone, you may have a problem, since you cannot set up your budget on a mobile device. You must set up your budget from the desktop. After that, you can use the app. The app is especially useful to check your budget from anywhere (especially before shopping), and it also syncs with your account. You can connect your credit cards to YNAB, but when you spend on a credit card, YNAB automatically moves the money from the category to the credit card. Then, when you pay your credit card payment from your bank account, the transaction is treated as a transfer. It takes a while to get used to, and some people are confused. Once you get past the learning curve, this is easy. If you are having trouble sticking to a budget, and you find yourself in debt with little savings, YNAB will help you get smart about your money and get back on track. Most people don’t have the discipline to budget without some extra help. Take advantage of the 34-day free trial and give it an honest try- you’ll be surprised. Have you used YNAB? If not, what budgeting apps and tools do you use? Leave a comment below and let us know!